The author has impressive credentials. With a doctorate from MIT, he has taught at the US Naval War College and lectured at Harvard’s Kennedy School. He is currently Associate Professor at the Rajaratnam School of International Studies (RSIS), Nanyang Technological University, Singapore. The catch is that an American of Turkish-Egyptian origin, he served three terms advising the US command in Iraq after the fall of Saddam. His earlier book Insurgency and Counterinsurgency in Iraq carried his impression of that conflict. His service in Iraq perhaps explains the term ‘defeat’ in the title. To him, Sri Lanka’s ‘defeat’ of the LTTE is without a doubt ‘the first counter insurgency victory of the twenty-first century’ (p.2). This fixation with ‘victory’ and ‘defeat’ is a conceptual error that Americans have been guilty of across many conflict theatres. It can be be attributed to their strategic thinkers, such as the author; but then, the author’s interest itself can be attributed to socialization in the American school of war fighting. In all fairness to the author, it must be acknowledged that he has taken care to caveat his title and effusive introductory lines covering the death of Prabhakaran by highlighting that military victory is but a step towards conflict resolution. 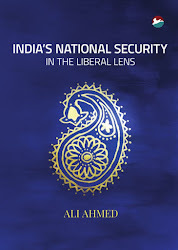 His concluding chapter does justice to the miles that remain for the Sri Lankan state to traverse out of the post-conflict environment it is in. He brings out the important point that victory can be lost in case the politics does not keep pace. That this is not happening in Sri Lanka is apparent with its latest stricture in the UN Human Rights Council which decided with a vote of 23 to 12 and 12 abstentions to investigate Sri Lanka’s record during the final stages of the conflict. It is clear that Prabhakaran may yet have the last laugh with the three Rajapakses—the President, the Defence Minister and his advisor—possibly being arraigned in front of the International Criminal Court at curtains to the conflict. That would indeed be a befitting end, not least from poetic justice point of view but as instruction to governments that watched, and prefer to continue to do so, with hands firmly behind their backs, not excluding the Indian Government. 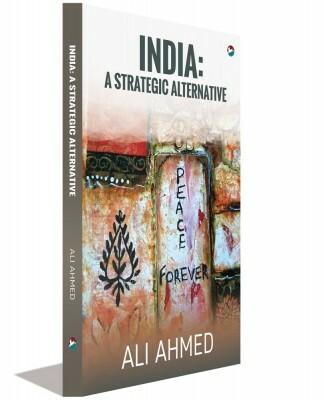 As the regional power, it is curious that Ahmed barely notes India’s role. India was in the midst of its last elections in 2009. This was the critical ingredient in Rajapakse’s timing of his offensive. An Indian Government distracted by national elections, fearful of the implications for the Tamil vote and encumbered by the Gandhi family’s grip on the ruling party, was unable—and perhaps unwilling—to force moderation on the Sri Lankans. The book misses also a look at the LTTE perspective. Acknowledging a lack of access to the Tamil camp, the book is unable to tackle crucial questions as to why the LTTE chose to take a stand, that in the event turned out its ‘last stand’. The author restricts himself to apprehending a profound misreading of the international opinion by the LTTE. The LTTE assumed international pressure for yet another pause in fighting after it yet again fought the Sri Lankan Army to a standstill. In the immediate aftermath of the Bush era, this was a misreading of international opinion on terrorism. Also, interventions for peace such as from Nordic countries were fatigued by the mid-decade failure of the Norwegian mission. 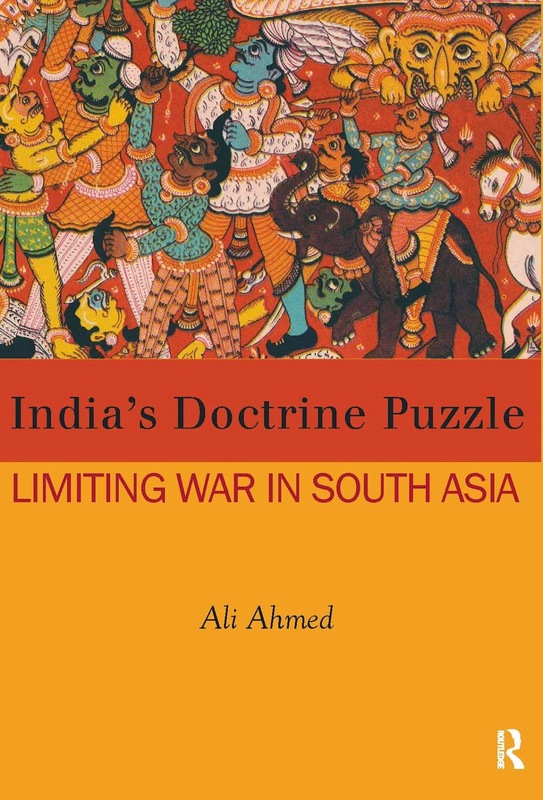 As mentioned, India too kept a distance and the Tamil parties, divided in the run up to the elections, could not force India’s foreign policy in an interventionist direction. While true, India’s sitting on fence then, as now, owes also, not so much to its view of national sovereignty, as much as the possibility of resorting to such measures in case of any future politico-military challenge it may itself face. Its enabling of the Sri Lankans and keeping a reticent position thereafter is supposedly for geopolitical reasons that include a need to balance Chinese interest in the Indian Ocean and Sri Lanka. However, the danger is in its learning the wrong lessons and believing that the Sri Lankan model holds any water in democratic societies. India has left itself open for an option of similar action in case any challenge acquires the magnitude of that faced by Sri Lanka. This brings one to the core issue of the place of violence in counter-insurgency. In Clausewitzian terms, the dialectic between two opposing forces, representing the wills of the two sides in conflict, is such as to tend towards ‘absolute war’. In internal conflict, this implies an annihilatory tendency; only to feed the contest making for a closed loop as obtained in Sri Lanka. Allowing the military logic to take its course is what ensures that the politics of the conflict are locked out, even after the opponent is overthrown, as is the case obtaining in Sri Lanka. This means that a glib reversion to politics at the end of the military tryst in internal conflict, such as usually attends international conflict, is seldom possible. Therefore, to advance theory, the expectation of reverting to politics once the military prong has done its bit is fallacy. Consequently, the search for ‘victory’, as has been the American lodestar over the past decade and half, is chimera. In trying to use the Sri Lankan case, the author is attempting to reinforce an American-led global strategic culture. In any case, if the problem can only be fixed by a political solution—as is invariably the case in internal conflict—then there is no need for a military dominant interregnum. It needs fixing straight off, without the contest of wills and the inevitable ‘collateral damage’ suffered by the human terrain of internal conflict. In fact, it is the temptation to go for the military option that creates the conditions for its employment. This needs being the take away from the book and not what the author has it: a political turn once the military has done its bit. His take has not succeeded in Iraq, where he spent time; in Afghanistan now; and—what he stops short of predicting—will not succeed in Sri Lanka. One hopes India—sitting on the fence—is listening.